Each Friday one of our 4K students is picked to be the “Star of the Week”. They get to take “Rover” and his travelling journal home with them along with the book “Move Over Rover!”. Rover gets to spend the entire week learning about the student and their family by living with them and doing fun things with the family. Throughout the week Rover’s exciting activities with the family are written about in his journal for the student to share with the class! On the following Friday the student gets to bring in their Mom, Dad or someone special to read a book to the class and then Rover finds out who he gets to visit next! 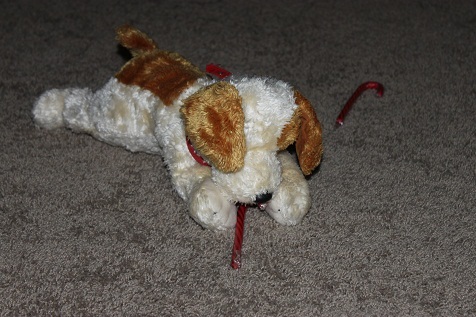 Rover – Enjoying some candy canes!